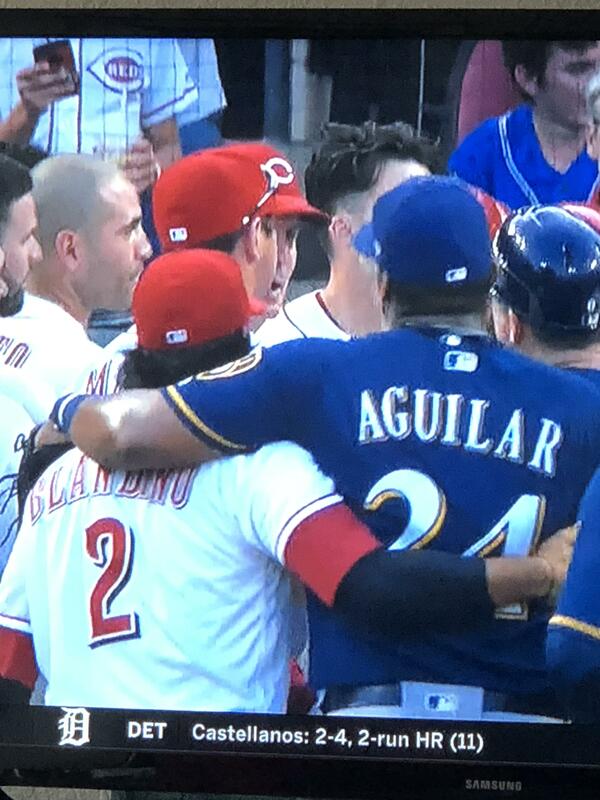 CINCINNATI - It wasn't a full-on fight, but there was certainly drama during Thursday night's game between the Milwaukee Brewers and Cincinnati Reds. In the bottom of the third inning, Reds first baseman Joey Votto took a pitch on the outside from Junior Guerra that was called a strike. Votto wasn't happy with that call, and argued about it with the umpire. The Brewers-Reds series continues in Cincinnati Friday night. The Brew Crew currently has a 2.5-game lead over the Chicago Cubs in the NL Central.